Beloved British-American band Fleetwood Mac will bring their new-look lineup to Australia for a huge headline tour in 2019. The pop rock legends — whose lineup now features Crowded House’s Neil Finn as a permanent member — will play arena shows across Perth, Brisbane, Sydney and Melbourne between August and September. 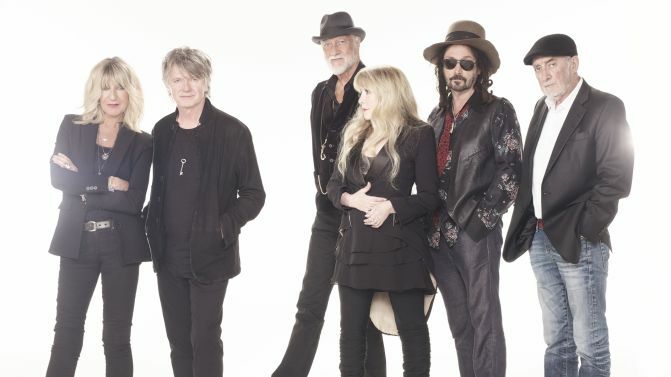 The band’s current lineup features Mick Fleetwood, John McVie, Stevie Nicks and Christine McVie, alongside newcomers Finn and Mike Campbell, following the departure of Lindsey Buckingham last year. “We are thrilled to welcome the musical talents of the calibre of Mike Campbell and Neil Finn into the Mac family,” said the band. “With Mike and Neil, we’ll be performing all the hits that the fans love, plus we’ll be surprising our audiences with some tracks from our historic catalogue of songs. Catch all the tour dates and ticket details for Fleetwood Mac’s 2019 Australian tour, below. The band released its latest album Say You Will in 2003, but are expected to release new music in 2019.